Teaching Students to Recycle and Why It is so Impartant for All of Us. For today's students, recycling might be a way of life. However, It doesn't mean they understand why we recycle. 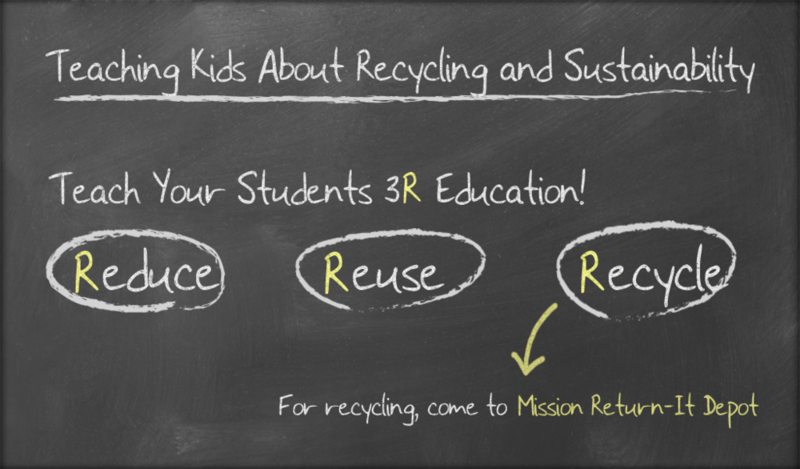 Get involved and teach your students why we recycle. Let your students know they can work together to conserve our beautiful earth. Best of all, you can raise funds for your school by recycling. School Program is no different than having a Bottle Drive account with us. However, you might want to go little further by registering your school for a school recycling contest. By registering for the contest, you will compete with other schools and the winners will win grand prizes. Visit school programs at return-it.ca for a complete contest details.